It’s a precarious time for the small property owner here in California. We’ve taken our homeownership rights for granted as an inalienable covenant with our state, but that could very well be going away after this election. 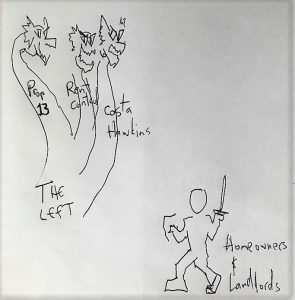 They’re coming after our homes and holdings on three fronts – Prop 13, rent control, and Costa Hawkins – a three headed hydra of property seizure. This is my attempt at art. Looking for a better artist. First up, rent control. As predicted, our newly elected Culver City council has barely been sworn in and the left is already talking about it. This is in sync with a number of other rent control pushes in the state, like in Long Beach, or with the current rent control initiative (which includes a repeal of Costa Hawkins) that looks like it’ll make the ballot in 2018. The proponents use the usual canards, bringing up 100% rent increases (which are unicorns which only happen when a property changes hands), or talking about “fairness” – renters needing a protection like Prop 13 for homeowners. Which is funny because Prop 13 is also under attack. A 40-year mainstay of California politics, Prop 13 protects homeowners from runaway taxation that comes from exploding home values. It’s been a third rail the whole time, but Democrats are now powerful enough where they don’t see it that way anymore. Holly Mitchell, who is running unopposed for state senate in my district, has spearheaded junking it. The tepid middle of the roaders claim they just want to tier it, where only the so that mythical “1%” will have this protection removed – so they can “pay their fair share”. Most people see it as a ploy. Finally, we have the repeal of Costa Hawkins. The bill repealing it, AB 1506, was narrowly defeated in committee earlier this year, but it’ll be back as an initiative in the November election. This is the least known law but actually affects single family homeowners the most. Costa Hawkins protects homeowners and property owners on two fronts. First is vacancy decontrol: municipalities can’t set rents on vacant units. Meaning if someone moves out of a rent controlled apartment, a landlord is able to raise the rent to market value. Second is exempting duplexes and single family homes or condos from rent controlled statutes. Meaning if you move out of your house for a while and decide to rent it out, you’re not subject to rent control – unless this is repealed. The Democratic Party is doing what it can to make it sound like only evil Republican billionaires would be opposed to these moves. But don’t kid yourself. Voters maintain a bipartisan opposition to these. This isn’t about making things more affordable or fair. Now that the Democrats have a chokehold on power in this state, they simply want to expand their power over our property. This is a sea change in the covenant we have with the state. If the Democrats succeed on these three fronts, we’re no longer in charge of our property, we’re just here to manage it for the state. This is why many call it creeping socialism, and why it doesn’t work. 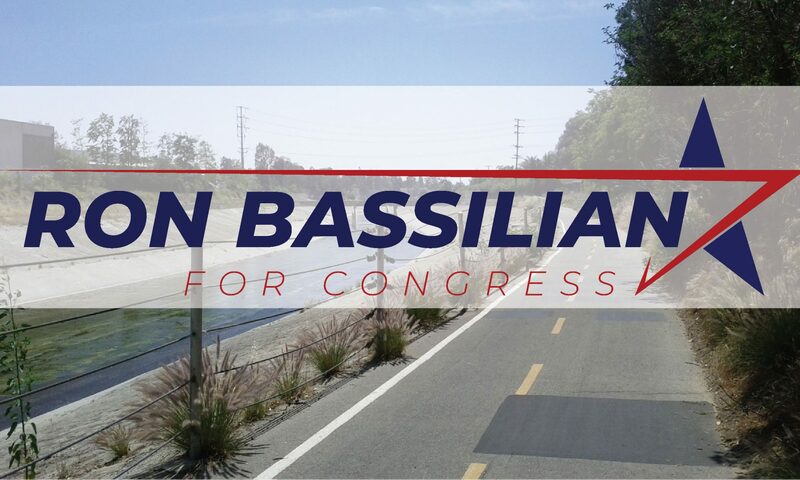 If we no longer can reap the benefits of all the sweat we put into our homes and businesses, if it’s all taxed and regulated into the dirt, then our sweat is pointless. And the economy collapses. But don’t despair. If these were popular issues the Democrats would have run on them. Instead, they dodge the issue and keep their political campaigns on immaterial topics. And when they do discuss it, it’s not in good faith. They bring up canards and hyperbole instead, and smear anyone who confronts them on it. That’s why it’s the three headed hydra of property seizure. It’s another monster that has come from the deep onto dry land and threatens to destroy our way of life. But like all monsters, it can be destroyed with clear vision and vigilance.